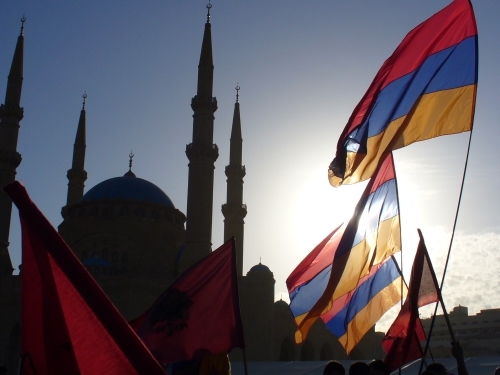 Armenia: Church, State Joining Forces Against Western Religious Groups? This article was originally published by EurasiaNet.Org on 24 November, 2015. As Armenia readies for a controversial December 6 referendum, public attention has tended to focus on proposed constitutional amendments that would alter the country’s political system. But another, less discussed amendment is generating concern among some who question whether the country’s religious minorities, often deemed purveyors of “perverse” Western values, could suffer. Wariness of so-called “sects” — a euphemism for primarily evangelical Christian denominations, including Mormons and Jehovah’s Witnesses — has long existed in Armenia. 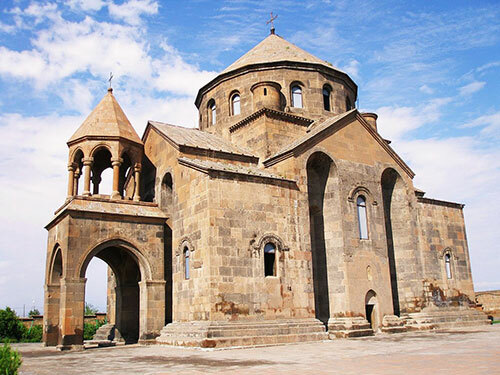 The state-financed Armenian Apostolic Church, believed to be the world’s oldest Christian institution, is widely seen as a major pillar of national identity. This article was originally published by EurasiaNet on 14 April 2015. The 100th anniversary [on April 24th] of the Medz Yeghern, or the “Great Catastrophe,” [has] highlight[ed] the mixed feelings that Turkey’s tiny ethnic Armenian minority has for President Recep Tayyip Erdoğan’s administration. On April 24, Armenians around the world [marked] the World-War-I-era deaths of hundreds of thousands ethnic Armenians in Ottoman-era Turkey. It is a tragedy that for many historians and analysts constitutes an act of genocide. Mediation Perspectives: Armenia and the Customs Union – Window of Opportunity for Nagorno-Karabakh? Sargsyan, Medvedev and Aliev. Photo: kremlin.ru/Wikimedia Commons. Policymakers and analysts have spent the past two decades applying the same insights and settlement approaches to the Nagorno-Karabakh conflict with the same limited impact. There is an underpinning perception that everything that could have been said has already been said. This, combined with a set of overused words such as ‘stalemate’, ‘deadlock’, ‘frozen’ and, more recently, ‘simmering conflict’ brings with it a certain level of fatigue and apathy on the part of the conflict parties and external observers. 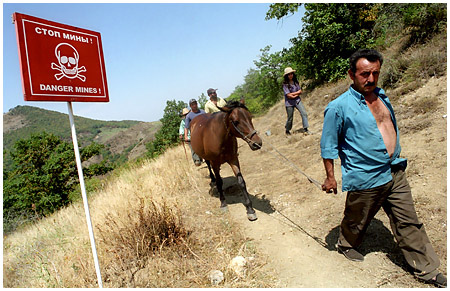 This week, the ISN focuses on the Nagorno-Karabakh conflict. The dispute between Armenia and Azerbaijan over this de facto independent territory has been running since the break-up of the Soviet Union. Mediation efforts by the ‘Minsk Group’, a group of OSCE member states, haven’t brought any substantial success. Some even argue that they’ve been counterproductive. As other disputes stuck in a ‘no peace, no war’ situation for so long, Nagorno-Karabakh belongs to the ‘frozen conflicts’ species. But the dramatic meltdown of the South Ossetia conflict last summer showed that frozen conflicts should be taken very seriously indeed. Check out this ISN Special Report on the Nagorno-Karabakh conflict by our senior correspondent in the South Caucasus, Karl Rahder. For information on current peace and stabilization efforts, check out this OSCE link and this ICBSS Policy Brief. And here are two papers pulled out of our Digital Library: one by the Elcano Royal Institute on foreign mujahedin in Nagorno-Karabakh and one by Swisspeace on ‘no war, no peace’ societies. You might also want to check our resources on the whole Caucasus region or on mediation in peace processes in general.